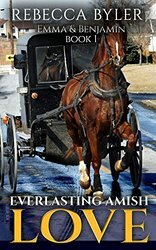 Emma's past life in the city has been forgiven by her Amish family, but sometimes the past refuses to be forgotten... Emma's family has welcomed her back in the Amish community to put her life back in order. When she falls in love with Benjamin, and they wish to marry, not everyone is willing to bless their marriage. When they decide to leave for the city and be married in secret, one of them makes a decision that could jeopardize their love and their life together. Will Emma's desire to overcome her past be strong enough for life and love with Benjamin? Will Benjamin's love for Emma be strong enough to withstand the storms of her past life in the city? Or will Emma and Benjamin's fragile love be another victim of her past...a past that refuses to be forgotten? Read "Emma and Benjamin" today and see what their future holds! Samuel has fallen deeply in Love with Gloria, the most beautiful Amish girl he knows. The only problem, Gloria is not interested in Samuel at all. She won't even look his way when he attempts to talk to her. Everybody sees he is in Love with Gloria, except Gloria. When their parents arrange their marriage Samuel is over the moon but Gloria is shocked and her heart turns to ice as she does not love Samuel, but as a good and loyal daughter she agrees to the wedding. She does not dare tell anyone about her true secret desires. On her wedding night she pretends feeling unwell to avoid her newly wed husband. Is their marriage doomed from the start? 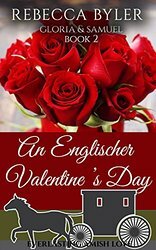 Samuel has almost given up winning her heart when her best friend tells him she has been dreaming of an EnglischerValentine’s day since she was a little girl. Will Samuel’s secret plan to win Gloria’s heart work? Will Gloria finally recognize her true Valentine in time?